It happens. Something unexpected occurs toward the end of the year to affect your tax situation, or maybe you made a mistake when you filled out your W-4 for your new employer. Now it's tax time, you've just completed your return...and you owe the IRS. If you have little cash on hand, the IRS would much rather you pay them over time than not pay them at all and force them to take collection measures, so it offers a variety of payment options. Setting up a payment plan with the IRS is fairly easy. Either you or your tax professional can arrange for an installment agreement to pay your tax debt in smaller, more manageable bites. First, determine how much you owe in unpaid taxes. Contact the IRS or check your copies of your tax returns to verify the amount. The total will include your original tax due plus penalties and interest. Now fill out Form 9465, the Installment Agreement Request. You can use the Online Payment Agreement Application on the IRS website if your tax debt is $50,000 or less including interest and penalties. Otherwise, you can download and complete the paper form from the website and mail it in along with IRS Form 433-F, the Collection Information Statement. It may not be necessary to file Form 433-F in addition to Form 9465 if you owe $25,000 or less. The IRS will typically accept your installment agreement if you meet certain criteria: the total tax you owe does not exceed $10,000 and the monthly payments you have proposed will pay your tax debt in full, including interest and penalties, within three years. Decide what day of the month you want to make your payments. You must make your payment by the same day each month. You can choose any day you want between the 1st and the 28th. Choose your monthly payment amount—yes, you get to decide this within certain parameters, such as if you owe less than $10,000 and propose a monthly payment amount that will pay off the debt within three years, including penalties and interest. You must pay at least this amount each month, although you can always pay more. The IRS will respond to your request in approximately 30 days. The IRS charges a user fee to set up a payment plan. As of January 1, 2018, it's $107 for direct debit installment agreements, $225 for new installment agreements without direct debit, or $89 for restructuring or for reinstating a defaulted installment agreement. Low-income taxpayers are eligible for special, lower rates. You can also request an installment agreement over the phone. Simply call the IRS at 1-800-829-1040. They will send you the paperwork to fill out. Ask a tax professional to help you set up a payment plan if you want to negotiate a lower monthly payment that fits more easily into your budget. You might also need help from a professional if you do not meet the criteria for automatic acceptance of an installment agreement. The IRS will not approve your installment agreement if you have not yet filed all your tax returns, so you must be current before requesting a monthly payment plan. 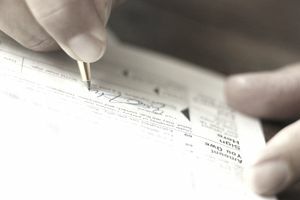 If you are due a refund in future years, you will not receive it if you are currently paying off a tax debt under an installment agreement with the IRS. Your refund will be applied to your installment agreement balance. If you are paying by check or money order each month, mail your monthly payment to the IRS about seven to 10 days before the due date you have set up to make sure that the IRS receives it on time. The easiest and safest payment method is IRS Direct Pay, which is available online. Just log in with your identifying information, select "installment agreement" from the drop-down menu, and enter your payment along with your bank account information. You will receive a confirmation number immediately when your transaction is complete. If you know you are not going to be able to make a payment, contact the IRS as soon as possible to avoid possible collection actions. The IRS will generally work with you.